For over two decades, the late Marion Zimmer Bradley, best-selling and beloved author, discovered and nurtured a grand generation of authors. The roster of contributors over the years includes Mercedes Lackey, Charles de Lint, Diana L. Paxson, Emma Bull, Jennifer Roberson, and countless others. 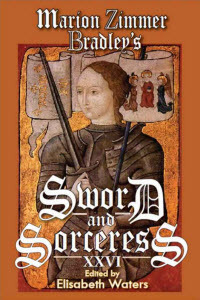 Sword and Sorceress 26 includes stories by Kat Otis, Deborah J. Ross, Jean Tatro, Jonathan Shipley, Melissa Mead, Michael Spence and Elisabeth Waters, Margaret L. Carter, Dave Smeds, Patricia Duffy Novak, Michael H. Payne, Pauline J. Alama, Steve Chapman, J.C. Hsyu, Jonathan Moeller, K.D. Wentworth, David L. Burkhead, Julia H. West, Joette M. Rozanski, and Katharina Schuschke.